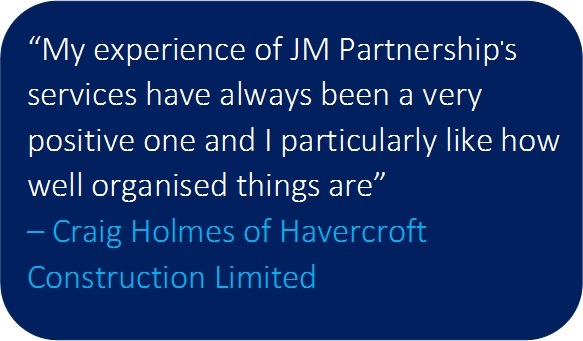 JM Partnership (Surveyors) Ltd offer a full Building Control service. To find out if you require Building Control Approval or you would like us to give you a fee quotation for a new project, please submit our Enquiry Form. We would welcome your opinion on how we performed in relation to the provision of our Building Regulation services and how this compared to your expectations. This will only take a minute of your time, please submit your Survey comments here.